You would be forgiven for thinking that a wagging tail on any dog, signifies a happy dog. However, this is not always the case. Canines actually wag their tails for a number of reasons. Their tales can also wag when they are feeling aggressive. And a happy friendly dog may not always wag their tail. Confused? You need not be. Although this news may seem a little contradictory, the fact is, you need to keep an open mind when determining your dog’s mood by looking at their tail. The type of tail your dog has, will determine just how well he is able to communicate his mood through the use of it. 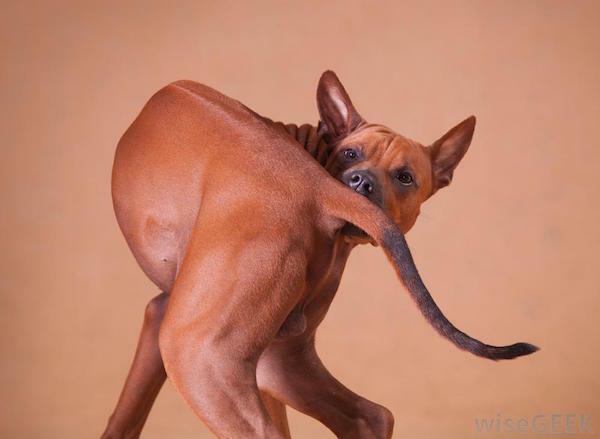 The majority of dogs have a natural tail that hangs down from their rear just as God intended. The length normally takes the tail to near the hock, (the name for the joint between the lower thigh and the pastern on the rear leg). Other tails, such as that seen on a Pug, curl upwards over their backs. There are also breeds such as the Greyhound and Whippet that have tails that tuck between their hind legs. There is also the painful procedure of tail docking that some breeders and owners see fit to have carried out on their dogs. While the ASPCA does not condone the practice, it still occurs all too frequently and often for cosmetic purposes no less. Needless to say, a dog with a docked tail is unable to communicate any feeling through a tail they no longer have. A relaxed dog will have his tail hanging in the natural position. Additionally, if the dog is happy he will often wag that tail from side to side. When a dog is really happy and excited (such as when greeting its owner after being apart) the tail will wag more forcefully from side to side and in some instances around in a circular pattern. 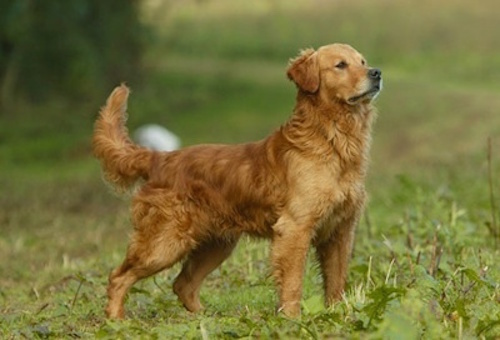 A nervous and / or submissive dog will hold his tail lower than normal, and if long enough will tuck it between his rear legs. 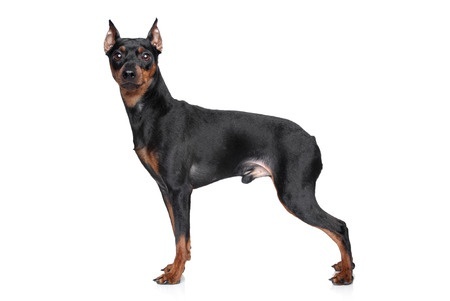 It may still wag, and often at a slightly faster pace than when the dog is relaxed. When a dog is feeling extremely submissive the tail may tuck beneath them and tight against the stomach. When your dog is alert his tail will be held higher than normal. He may also hold it stiff and generally the tail will not be wagging. However, if he is standing his ground or threatening someone, (a person or another animal), the tail may be held stiff, but move rigidly back and forth. This will look similar to a wag, although all other signs will show that the dog is far from relaxed. As is always the case when reading body signals from your dog, you cannot take one sign by itself. The true emotion being conveyed will be seen through a series of body signals, from mouth to ears, eyes and posture. The tail is just one of these methods of communication, that will often rely on the whole in order for the relevant mood to be displayed.